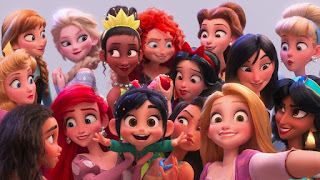 When Vanellope’s arcade game is damaged, and her arcade gets WiFi, Vanellope and her friend Wreck-It Ralph go online in hopes of saving her game, but when exposed to a whole new world, Vanellope starts to wonder if she really does want to reclaim her past. The film shows that friends can stay friends, even when circumstances change, and even when friends move away. It shows that hurt feelings can be overcome. It offers an opportunity to explore how clinginess could be harmful to friendships, while also helping to understand where clinginess might come from. For a moment, it appears that Ralph’s clinginess has cost him his best friend. This could be hard for some sensitive young viewers. The adoption scene is mostly played for laughs, but could be bothersome to some families. 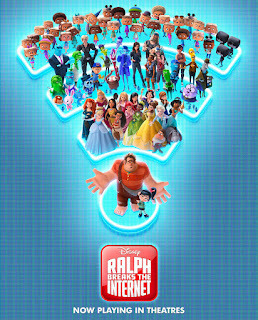 Aside from some scenes that could frighten young viewers, and an adoption scene that seems a bit out of place, Ralph Breaks the Internet is a fun movie. It should be good for most kids ages 9 and up. How will Ralph and Vanellope stay friends even though they live far away? How can you stay friends with people that you don’t see very often? What video game would you like to live in? Check out our book for other great movies to get your family talking about adoption! 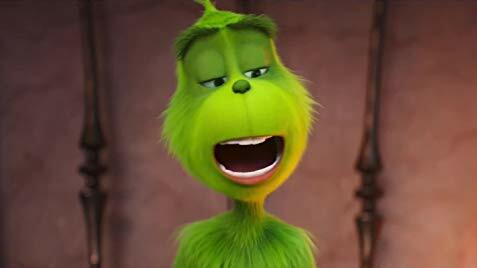 The furry, green hermit known as The Grinch hates the boisterous Christmas celebrations in Whoville. They rub against sore memories from his own childhood. And so, the Grinch has an idea, an awful idea – to stop Christmas from coming. 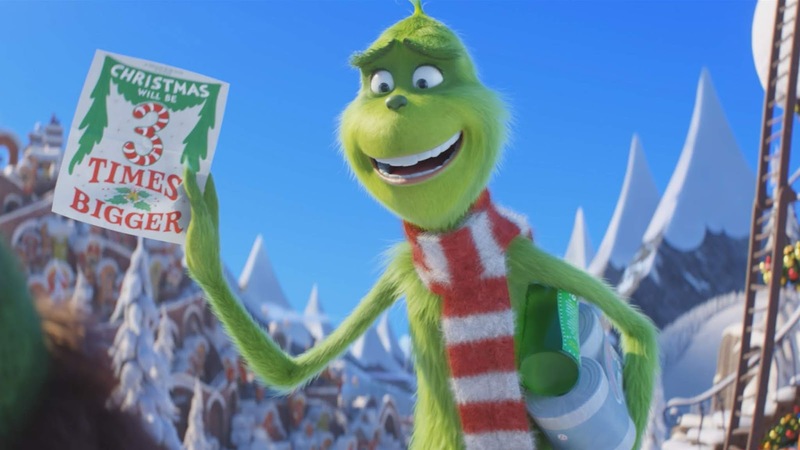 Can the joy of Christmas break through the Grinch’s pained hatred of the holiday? The film opens by teasing the fact that The Grinch felt upset around Christmas time, but wasn’t sure of why he felt that way. Over time, we see clips from The Grinch’s childhood. He was abandoned, alone, rejected, and lived in an orphanage. Although he dreamed of spending Christmas with loving friends, his Christmas was spent alone in an undecorated room. The pain from the letdown of that Christmas in the prisonlike orphanage has led to The Grinch’s lifelong hatred of the holiday. The love of his neighbors eventually warms his heart and helps him find the healing he needs to embrace the holiday and embrace his neighbors. Cindy Lou Who (who in this film is quite older than two,) cares deeply about her mother. Cindy Lou’s mom is a single mom who cares for Cindy Lou and her two infant siblings, and Cindy expresses “Mom works, cares for us, and it’s not fair. She acts like it’s fine, but it’s really hard, and if anyone can fix it, it’s Santa.” I admire Cindy Lou’s empathy, but it does seem like a lot of emotional insight for a five(ish) year old. I also would want to make sure that a kid who’s been abused or neglected wouldn’t hear Cindy Lou’s words and then start to wonder if caring for them might be too big a burden for their parents to bear. 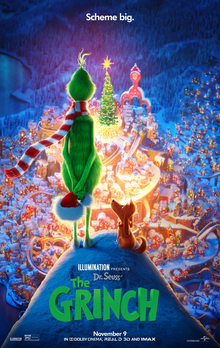 The film also shows how love and acceptance, and not rebuke, is what finally helped the Grinch overcome the pain of his past. 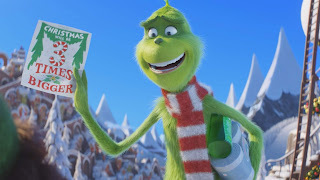 The Grinch is surprising in two ways – it could be very triggering for young kids with unresolved grief regarding familial loss, and it could be very insightful for parents of kids from hard places. For some kids, the orphanage scene will push it out of the bounds of comfort; for others, it could be a helpful tool to talk about the times when we’re sad, but don’t really know why. It's a judgment call on whether the orphanage scene will be hard for your kiddos, but I'd guess it's most likely to be hard for kids ages 9 and under. What made the Grinch hate Christmas? Why did he think he hated it? What can help someone feel better when they’re sad about something from long ago? A powerful dark wizard, Gellert Grindelwald, intends to create a new world order which will see wizards rule over non-wizards. 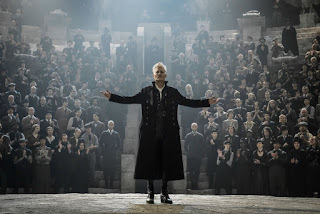 Grindelwald gains followers through his persuasive speeches, but he believes that for his plan to succeed, the great wizard Albus Dumbledore must be eliminated. Grindlewald cannot fight Dumbledore, but he believes that he knows a wizard who can. The forces of evil and the forces of good both pursue a disturbed teenage orphan, believing that his pre-adoption history is key to their victory. Credence Barebone was violently abused by his adoptive mother, and now is free from her control. He has a magical parasite which can cause great destruction, and because of this he is feared by many, and desired by power-hungry wizards who hope to exploit him. Credence has a strong desire to know who he is. 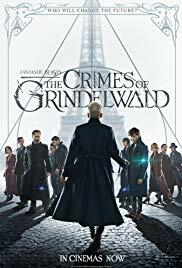 An evil mind reader advises Grindlewald to speak gently to Credence, and Grindlewald exploits his knowledge that Credence is desperate for a sense of family. 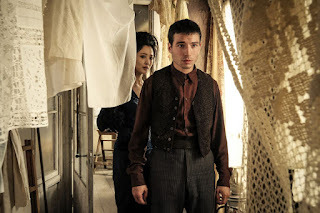 It’s explained that Credence was abused by the woman who raised him, and now seeks the woman who bore him. Credence travels to find his birth mother; he does find the woman whose name is on his adoption papers, but she affirms that she is only a servant of Credence’s parents. She embraces him; however, shortly after Credence meets her, she is murdered by one of Grindlewald’s followers. One character affirms that Credence’s identity is more than just his history – his history is not the only thing that defines who he is. An infant is murdered off-screen. One character confesses that, when she was a young girl during a ship voyage, she became frustrated by her infant brother’s constant screaming. Hoping for a brief break, she switched her brother with another infant, intending to reverse the switch in a little while. However, while the babies were switched, the ship sunk, and the girl’s mother rescued the baby she incorrectly believed to be her own. Years later, this character blames herself for her infant brother’s death; this also complicates Credence’s questions regarding his own identity – Credence was the baby who was taken in the switch, and the girl who took him knows nothing about his previous identity. The film has a very dark tone with several frightening scenes. A character has sworn a vow to avenge his father by killing the child of the man who seduced his mother away from his father. A young woman is told – and believes – that her father never loved her. 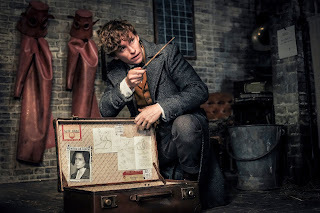 Fantastic Beasts: The Crimes of Grindelwald is entertaining, but it also seems darker than most of the other films in the Harry Potter world. Adoption is profoundly woven into the story, but in a way that seems likely to be troubling, confusing, or upsetting for most young viewers touched by adoption. This one seems best left to adults and older teens who are mature enough to process the film’s adoption elements without embracing them as fact. What do you believe determines Credence’s identity? Grindelwald; what would help Credence stay safe? Which characters seem like the safest people that Credence could trust? Pete and Ellie have enjoyed their lives as a childless couple. They develop houses and have freedom that others might envy. Each believes that the other has no intention to have children, but they have not talked deeply about it. After a conversation with relatives, Ellie starts thinking about having children. Pete makes an offhanded joke; he is too old to have an infant – but if he adopted a five-year-old child it would seem like he started having children at a reasonable age. Pete gives no further thought to his joke, but Ellie begins researching adoption, and her heart is touched by the profiles of children on AdoptUSKids, a website geared towards recruiting adoptive parents for children waiting in the foster care system. Pete’s heart is also eventually touched, and Pete and Ellie begin their journey towards certification as foster-adoptive parents; they ultimately meet Lizzy, Juan and Lita at a matching event. The film follows them through a very realistic experience of the California foster and adoption system, through their certification, matching process, and placement. !! Did you know, we’ve got a book out! Adoption at the Movies by Addison Cooper provides a year’s worth of family-friendly movie nights to getyour family talking about adoption. Check it out on Amazon! !! 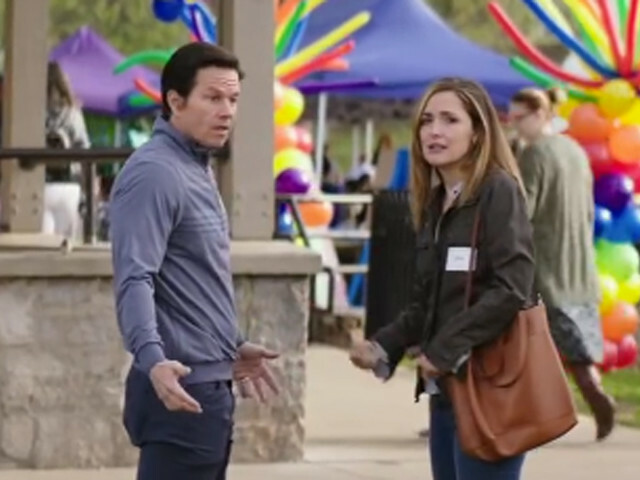 Filmmaker Sean Anders based this film on his journey through the foster-adoption system. The challenges, processes, doubts, and joys that Pete, Ellie, and the children experience are very realistic. The film captures the foster-adoption experience thoroughly without being exploitative. Pete and Ellie express the real doubts that many foster-adoptive parents experience; Lizzy, Juan and Lita encounter and present challenges that are realistic to many children in foster care. Instant Family is honest without being overanxious. Instant Family accurately, compassionately and optimistically captures the foster-adoption experience. It will resonate with many that have adopted from foster care, and will be helpful for those considering adoption from foster care. Although Lizzy, Juan and Lita – and Pete and Ellie – all have mixed feelings at times about the placement, they work through their motivations, feelings and doubts responsibly, and ultimately finalize their adoption. 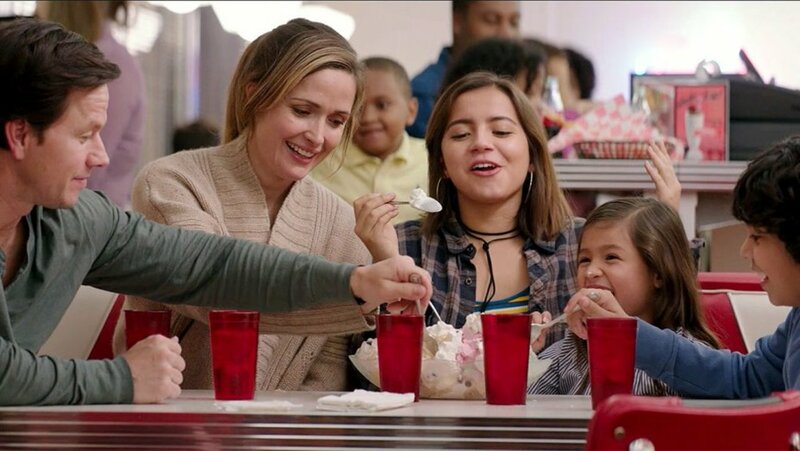 Instant Family provides a lighthearted opportunity to explore and challenge several of the misconceptions that people have about adoption; the film explores peoples’ fear of adopting teenagers, unrealistic expectations of adopted children, fear of openness with a child’s birth family. It also challenges the unfortunate connection that some people make between pet adoption and the adoption of children. 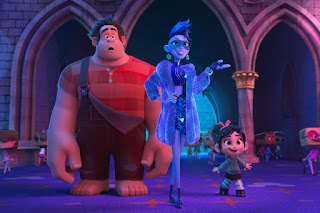 It explores questions of identity (Pete and Ellie temporarily feel as though they’re “babysitting someone else’s kid.”) They stand up against the insensitive comments made by their extended family. They don’t give up when their kids are resistant to bonding. This has the potential to be such a helpful film. The agency that Pete and Ellie go through is the real-life agency most closely connected to defining the Seven Core Issues in Adoption (Grief, Loss, Rejection, Guilt, Identity, Intimacy, Control). The film is very theoretically sound and healthy in its approach to adoption. When Pete and Ellie express their doubts and fears, they appear to consider sending Lizzy, Juan and Lita back. Other prospective adoptive parents talk insensitively about their expectations of the children they hope to adopt. These are realistic conversations, but would likely be triggering to children and pre-teens touched by adoption, as well as some teenagers. As a long-time foster-adoption social worker, I love Instant Family. I don’t recommend it for kids; I think there’s a lot of material that could be triggering for children touched by adoption because it’s so real – but for adoptive parents or people considering adoption, this is a perfect opportunity to explore many of the real-life aspects of foster care adoption. It’s funny and entertaining, and has the potential to help prospective adoptive parents be more thoughtful and better-prepared. Because of this, it can have a positive impact on kids waiting to be adopted. 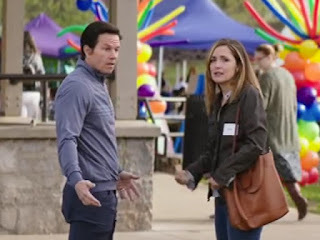 Instant Family has Adoption at the Movies’ strong recommendation. How did Pete and Ellie end up with three kids? What challenges did this bring, and how did they overcome the challenges? How helpful was the support group for Pete and Ellie? How do you think the support group impacted their parenting? Which do you think would have been the hardest moment for Pete and Ellie? How did they remain committed to their kids? What growth did Pete and Ellie need within themselves to be able to be the parents that their children needed? How does Lizzy feel about her birthmother Brenda? How can Pete and Ellie best honor that moving forward? What moment most touched your heart? A year after her mother’s death, Sophie intends to re-open her mother’s hotel. Sophie’s mother, Donna, was never sure who Sophie’s father was, but all three possible fathers took an active role in Sophie’s life, and continue to serve as supportive fathers to her even now that she is grown. As Sophie deals with the stress of reopening the hotel, we see interspersed scenes of Donna’s life when she was Sophie’s age, settling on the island, dreaming of opening the hotel, and dealing with an unexpected and largely unsupported pregnancy. Some people, including people touched by adoption, may relate to Sophie’s situation; several people have entered her life as supportive parental figures, but she is not certain who her biological father is. However, all of her father figures have learned to work together and have become friends in support of Sophie. This is an ideal outcome, and a similar outcome, although more specific to adoption (and more likely to appeal to kids), was presented in Kung Fu Panda 3. I really like how supportive Sophie’s three dads are of her, and how they have generally learned to treat each other as family as well; they are united by their care for Sophie. This models a very positive outcome for any blended family, whether formed by remarriage or adoption. 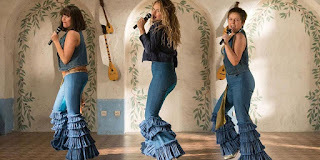 This film doesn’t seem likely to appeal to a young audience, but it doesn’t seem likely to pose many challenges for a mainstream adult audience. While this isn’t an adoption film, adoptive parents could enjoy watching it, paying attention to the positive relationship between the three dads, and reflecting on what a healthy, open relationship could look like with their children’s birth family. What do you think made it possible for Sophie’s dads to function so well together? How important is language or terminology for Sophie in referring to her dads? Which songs did you like best? 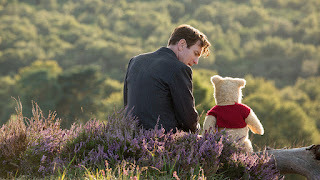 Christopher Robin last left the Hundred Acre Woods as a preteenager; although he knew that his life would require him to move on from his cherished memories there with Pooh and his other friends, he promised that he would never forget them. 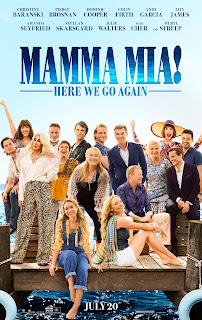 Decades later, Christopher is a manager of a luggage company; he feels the pressure of knowing that he may have to lay off several of his staff if he cannot find a way to reduce costs, and feeling the pinch of this pressure, he decides not to accompany his wife and young daughter on a vacation. His family is hurt by his absence, feeling that he consistently puts work in front of them. Still, he sends them off to the cottage he knew as a child while he stays home alone – and he would have stayed home alone, had not a friend from his past come to visit. Pooh has discovered that all of his friends are missing, and he has come to ask Christopher for help finding them. 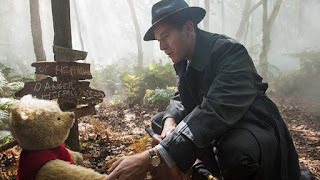 Christopher intends to take Pooh back to the Hundred Acre Woods, and he must determine how he will prioritize the competing demands on his time. There is no mention of adoption in the film. Some of the film does center on Christopher’s unavailability to his daughter, which could be particularly sad for kids who have experienced neglect. 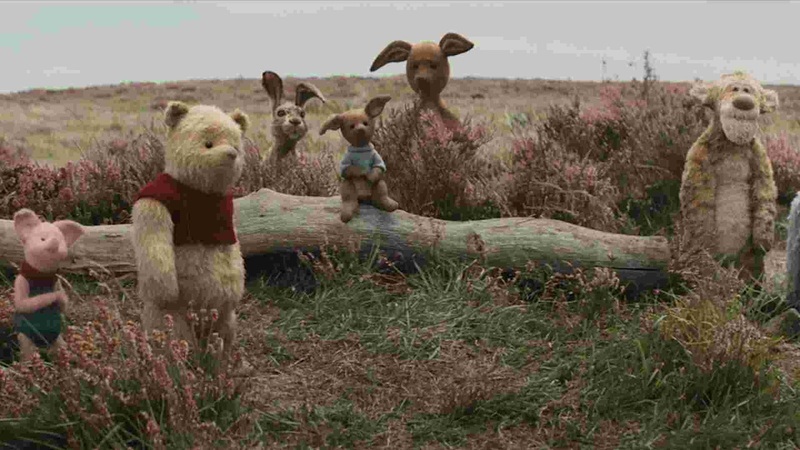 Some could interpret Christopher as developing into a father figure for Pooh and the other friends from the Hundred Acre Wood. Christopher Robin struck me as a very endearing film. I think the live-action-ish stuffed animals reminded me of the feel of Ernest and Celestine, another favorite. By the end of the film, Christopher has understood the importance of family. That realization also helps him have insight into the work problem he is facing, but his work success is almost incidental – the true victory is that he tells his daughter that nothing is more important to him than she is. Christopher does get in touch with his imagination, and comes through as a great friend to Pooh and the others in the Hundred Acre Woods. Pooh is perpetually accepting of Christopher; he is perfectly understanding and good-natured. Christopher’s friends learn about his daughter, Madeline, and ask him if a Madeline is more important than all of the papers he worries about for work. He acknowledges that she is. Madeline confides in Christopher that she doesn’t want to be sent away to boarding school, and he agrees that she never has to leave. Christopher seems to have forgotten his dear friends in the Hundred Acre Woods, even though he promised that he never would forget them. Christopher acknowledges that he “let Pooh go” the same way that an employer lays off employees. He yells at Pooh, and then Pooh walks off, saying that Christopher “should let me go – for efficiency.” This could be difficult for children who fear that they may be forgotten by their first families. Christopher does shortly reconcile with Pooh. These children could also be saddened by Christopher’s daughter longing to know her father, and wondering when he would be home – and even when he comes home, he is largely unattuned to her. Christopher Robin is an endearing film with a worthwhile message. It isn’t scary, although there are some moments that could be particularly sad for young viewers if they come too close to the child’s own history. 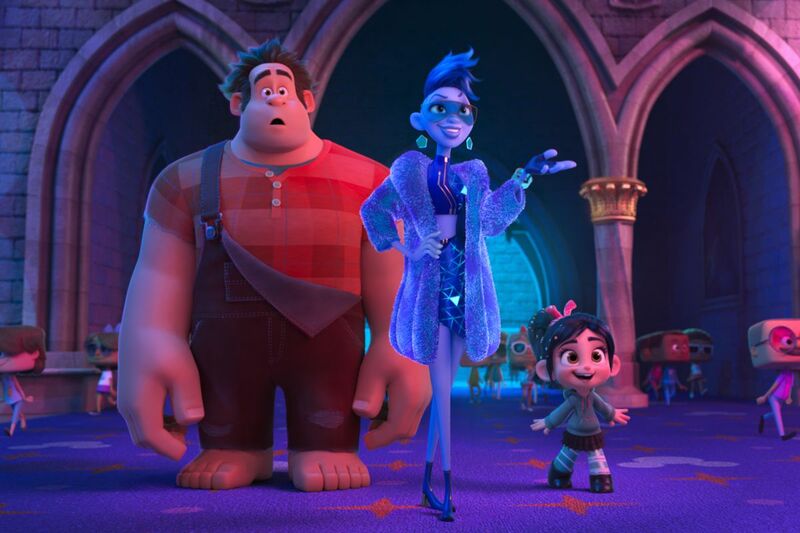 Parents should consider how their children’s experience of neglect and parental loss might interplay with the film; for general audiences it seems suitable to all ages, but most likely to appeal to adults and kids ages 11 and up. How in touch are you with your own childhood? What are some of your favorite childhood memories? What are (or were) some of your favorite childhood games? Toys? Stuffed animals? How can you prioritize “today”? Do your children feel that they’re more important than your job and your possessions? If not, how could you communicate that to them in a way they’ll understand?